In her latest blog, experienced recruiter Marilyn Jones stresses the importance of getting your elevator pitch right and considers how best to answer the question “what do you do?”. Recently a friend was asked to go for a “chat” about a new role. The hiring manager said it was just to get to know them better. Unfortunately, it was not. It ended up being a full-on behavioural interview that went for over an hour. My friend felt betrayed by the hiring manager as the “chat” was not what they perceived the interview was going to be, and also because they had let themselves down. In hindsight, they now know that they should have prepared as if it was a formal interview. The interviewer is not looking for you to regurgitate your whole CV and take 20 mins. They are looking for a short, concise summary of your experiences and motivations. They really want to know why you are a good candidate for the role compared to others they are interviewing. This “elevator pitch” is typically described as articulating yourself when you meet someone new and you want to impress them for either a role or to build a relationship. The time of your pitch should take no longer than the time it takes from the ground floor to the top floor – two minutes. You should really be able to deliver your pitch in the time it takes to stand on one foot going down in a lift and not fall over. Standing on one leg adds a whole new side to it – try it yourself, even on the spot. The more times you do it, the easier it gets, and the more time you have to relay your message clearly. This is one strategy for interviews – practice and preparation. In a networking situation the “what do you do?” question can also be a time to use your “elevator pitch”, however I find many times making it shorter again is actually better and can lead into more discussion. In answering the question, I can say “I work in HR or human resources”. What does that really mean? It’s true, I do work in HR, however any preconceived ideas the person you are talking to might have or have been exposed to in human resources, will sway their thinking on what that means to them. Some HR don’t do any recruiting, or career advice. The last HR they may have had dealings with may have given them a warning – think what a great perception they would have then of what human resources means to them. Sometimes I try out different things. Depending on the audience I go more conservative or be a bit more creative. I have also started with “I have finally found what I want to do when I grow up…” then lead into the next line. One recruiter I heard recently said: “My job is great, I get to ask you lots of personal questions”. Instead of “I work for the X NFP”, why not try “for the last year I have been managing the team at x to assist parents and children with disabilities to gain better resources” . Differentiate yourself. Think about what you do and like about your job, and put it more in the context of the work that you do rather than the name of the job or company. About the author: Marilyn Jones is an executive recruiter experienced in resourcing staff for companies and assisting individuals with their careers. Working for both niche and multinational recruitment organisations, Jones has worked across multiple sectors in many industry and business sectors both in Australia and the UK. 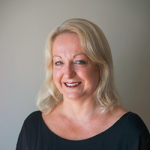 Each fortnight Marilyn Jones will be exploring topics that are relevant to your career journey. She will providing advice for job seekers entering and moving within the social sector. If you’d like insights into a particular topic, please email olivia@probonoaustralia.com.au. Please note the views expressed are the opinion of Marilyn Jones and do not necessarily reflect the views of Pro Bono Australia, its staff or contributors. Marilyn Jones is an executive recruiter experienced in resourcing staff for companies and assisting individuals with their careers. How do you take a ‘no’?